haha, finally posted a fresh one, u old son-of-a-gun…now where’s the question list?? i always mean to do more, but post to facebook instead, which is indefensible. 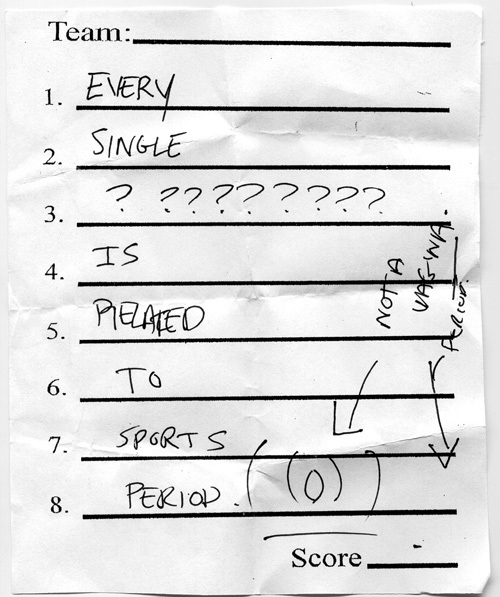 there the sports-centric quiz. i think we might have gotten one right on that because i screamed out “bo jackson.” then there was a quiz that had to do with various awards. the last one was a series of old photos of presidents that you had to identify, like andrew johnson. of all the sports-related sh*t to remember in all of the possible parallel universes that are out there…and u remember “bo jackson”. aint that some funny sh1t. why bo jackson? Because Bo knows…random answers to pub quiz. Remember THAT s***?! Awwww YEAH! Bo KNOWS!!!! other than he played two sports – i haven’t the faintest. when i was a kid i feel like he was someone that was really pushed upon my conscious. i can’t even recall how good he was. Tecmo Bowl for NES is why. He was unstoppable. tecmo bowl ref…man, takin in back to 91, son. tecmo bowl picked up where mike tyson’s punchout left off in terms of 8-bit sports realism and feeling as if you were there, live. Ahhh – I forgot he was in Tecmo Bowl. 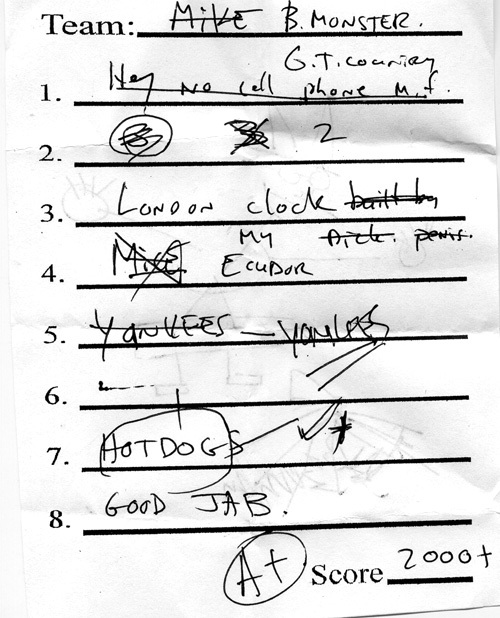 There was another quiz night and this time we placed 5th out of about 20 or so. A number of the teams had 8 or so people in them, while we had 2. Not too shabby. We placed better this time because the picture round involved identifying characters from the Sunday comics, and I knew 6 of the 8 answers, one of whom was the character Shoe. wow, shoe. he was a duck or something. for sure, shoe would have never again risen to my conscious awareness of its own accord, without (your) external function call. well done, sir.